We love the Clever Dripper here at the Roastery. 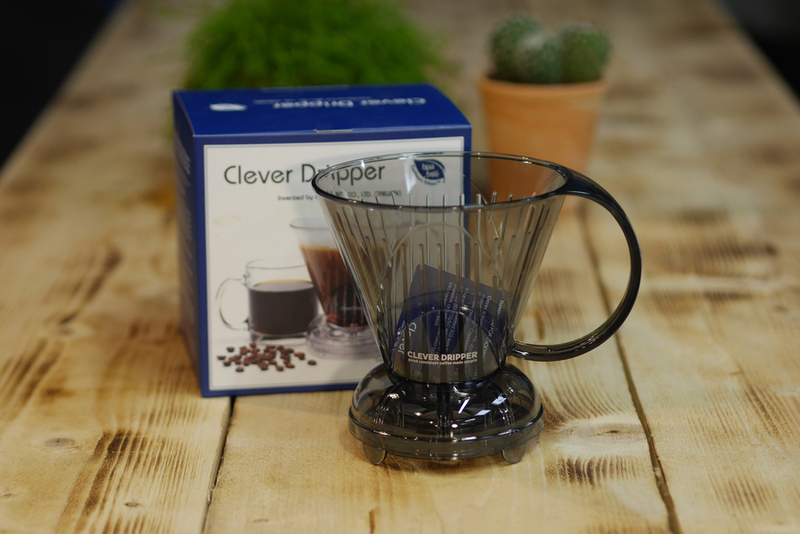 It combines the best of two brewing styles, the depth and consistency of a cafetiere with the clarity and cleanliness from the drip filter method. There is a tap/piston (not sure what it is, but it works ;-) at the bottom of the cone which means you can just put your coffee in, add hot water and let it brew for a few minutes. Once brewed, you just place it straight onto your cup (or jug as it can serve up to two cups), the tap/piston opens up and the coffee filters through. Easy to clean too, just pull out the paper and rinse. Made from Eastman Tritan BPA Plastic. This plastic is the best food grade heat resistant plastic available. Design upgrades have also been added: Handle: More ergonmic handle for balanced lifting and holding. Lid Design: Fits better and has an improved handle. Base Design: Sllows the valve and base to be removed and cleaned.